Even if the name doesn’t ring a bell, chances are you’ve seen Laurence Naismith – and more often than you realize. Between 1948 and 1982 the British character actor appeared in over one hundred movies and television programs. His film work ran the gamut from the Alec Guinness classic Kind Hearts and Coronets and Olivier’s Richard III to The World of Suzie Wong and Diamonds Are Forever. He also had recurring roles in the television series “The Persuaders” and “Oh Father.” But he began his acting career with musical theater and, after decades away from the genre, returned to it in the 1950s. By 1963, he had the starring role of Kris Kringle in Meredith Willson’s Christmas musical Here’s Love. Born in Surrey, England, in 1908, Naismith went to All Saints Choir School in London and in 1927 took part in the chorus for a London production of the Gershwin musical Oh, Kay! He then turned to repertory theater and for a time ran his own company. His acting career, however, was put on hold during the war, when he served in the Royal Artillery. After the war, he appeared in numerous movies, starting with Trouble in the Air (1948). He had the distinction of playing alongside Laurence Olivier in The Beggar’s Opera (1952) and Richard III (1955), a Technicolor masterpiece that starred the crème de la crème of the British stage; joining Olivier were John Gielgud, Ralph Richardson, Sir Cedric Hardwicke, and Claire Bloom. Other film credits from the period include Mogambo (1953), with Clark Gable, Grace Kelly, and Ava Gardner; Lust for Life (1956), the Vincent van Gogh story, starring Kirk Douglas; The Barretts of Wimpole Street (1957); A Night to Remember (1958); Solomon and Sheba (1959); The Trials of Oscar Wilde (1960); Village of the Damned (1960); and The World of Suzie Wong (1960). Naismith made his Broadway debut in 1963 as Sir Oliver Surface in a revival of Sheridan’s sparkling comedy The School for Scandal, in a production that featured Ralph Richardson and Gielgud, who also directed. 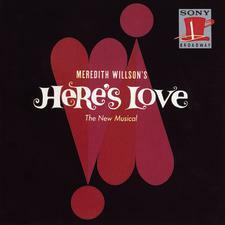 Naismith’s first musical on Broadway was Meredith Willson’s Here’s Love (1963), based on the classic Christmas movie Miracle on 34th Street. 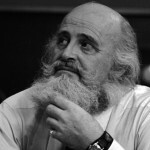 Naismith starred as Kris Kringle, the eccentric Macy’s Santa who claims to be the genuine article. The cast included Fred Gwynne (later of Herman Munster fame) and Janis Paige, and the score features the yuletide favorite “Pine Cones and Holly Berries” – with the familiar refrain “It’s beginning to look a lot like Christmas.” Columbia issued an original cast album. Naismith returned to Broadway in 1969 to perform in the musical A Time for Singing, based on How Green Was My Valley. The show ran out of steam after forty performances but was a positive hit compared with his last appearance on the Great White Way, playing Captain Vere in Billy (1969), a musical after Melville’s Billy Budd, which closed after opening night. Later television credits include “The Fugitive,” “The Invaders,” “Bonanza,” “The Name of the Game,” “Return of the Saint,” and “Barriers,” as well as the 1978 BBC production of Romeo and Juliet. Other film credits include Scrooge, Eye of the Cat, and Young Winston. Naismith moved to Australia in his final years, dying in Southport, Queensland, in 1992.